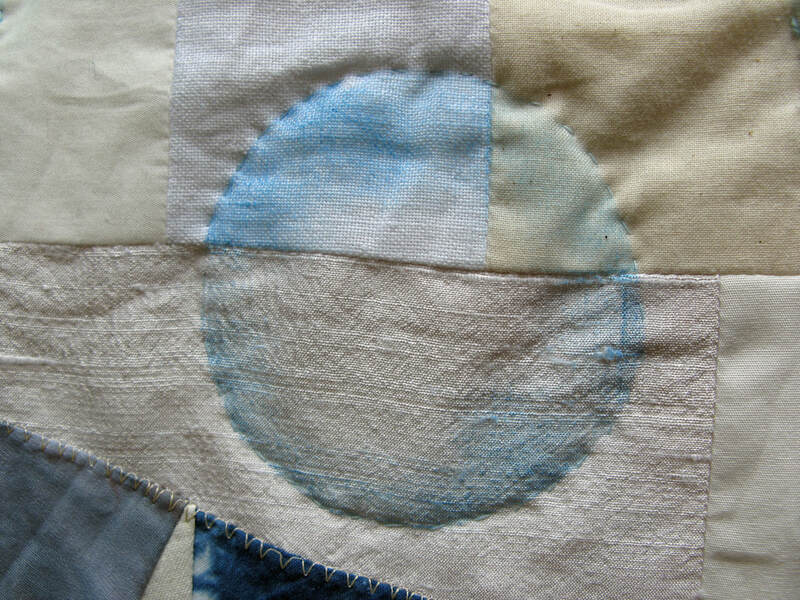 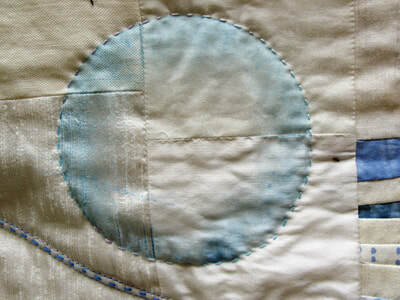 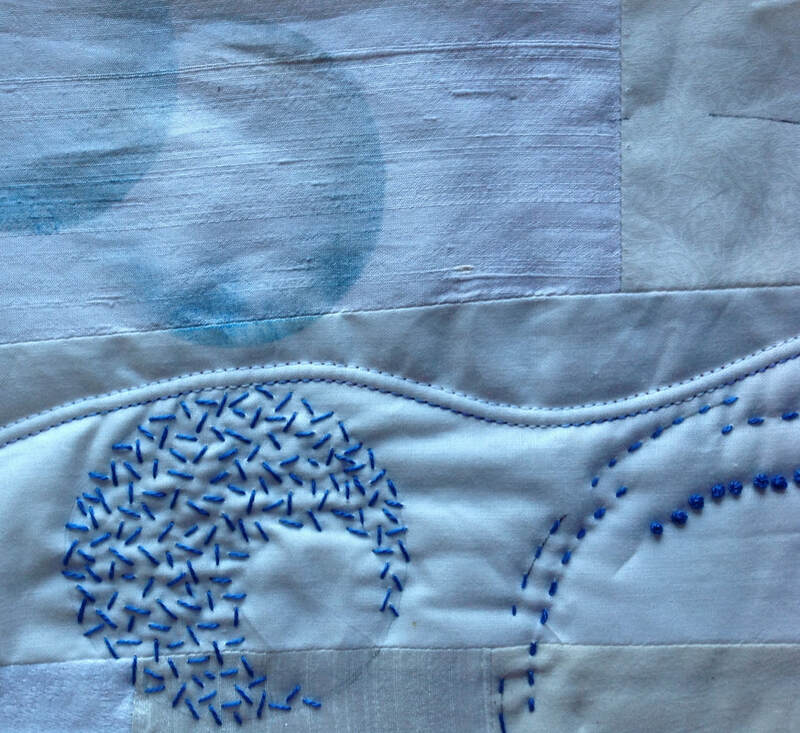 In all the time I have been constructing decorative textiles I have avoided the use of circles because I have found them really difficult to achieve. 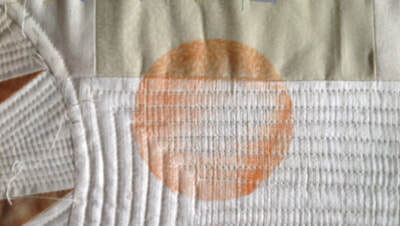 ​I have a wall hanging in mind with a background made up of random swatches of silk, linen and cotton on which I want to impose circles. 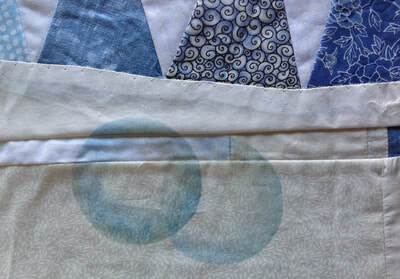 I have chosen to attempt bubbles using freezer paper stencils and Artists Paintsticks (from Markal) I have had some success in the past using the medium to create imagery on fabric. 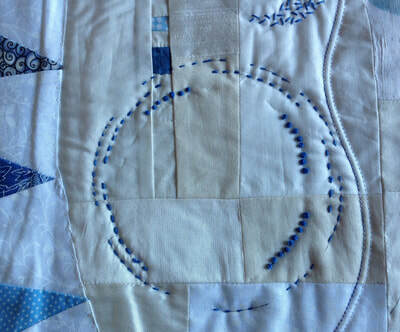 I have also used hand stitched seeding and french knots and running stitch to get different effects.